Oh I am SO EXCITED to finally be able to share my latest collaboration with Wayfair.co.uk, which is now live as and from today. 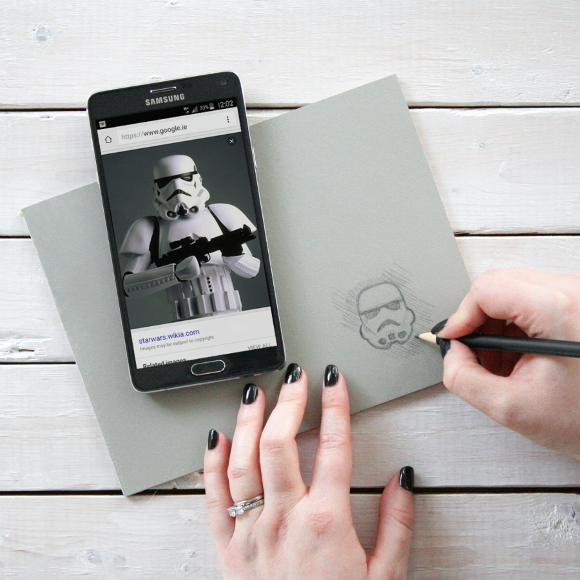 Wayfair.co.uk approached me again this year to create a tutorial for their site, and this year they asked if I had any ideas for a project based around either a Star Wars or Christmas theme. So I kinda took both ideas, mashed them together and created a Stormtrooper stamp tutorial that can be used to create bespoke wrapping paper. I couldn’t help but keep in mind what else this stamp could be used on; not just wrapping paper. I think it would work brilliantly to create a pattern on fabric like curtains or pillowcases, to be used as a wallpaper pattern on a feature wall, or subtly used to update a piece of furniture. Alls I’ll say is when we own our own home, THIS IS HAPPENING TO THINGS. 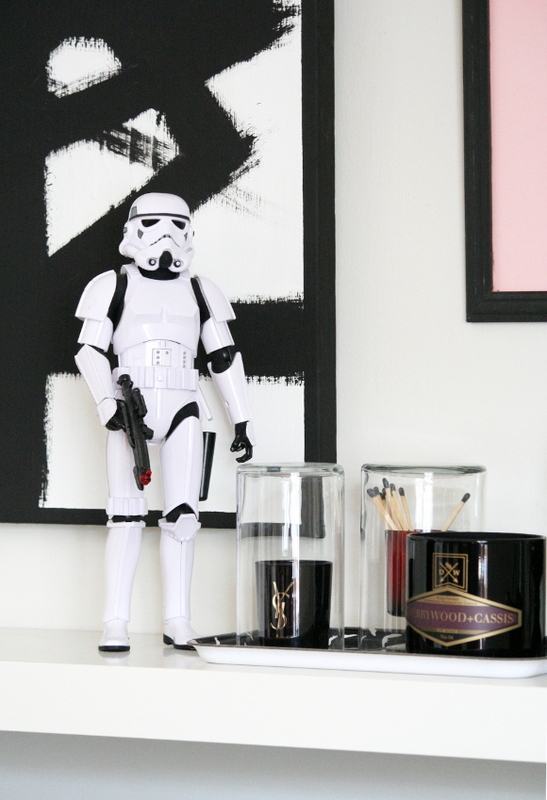 Head on over to see my Stormtrooper Stamped Christmas Wrapping Paper post to see the full tutorial! Today over on Instagram I’ll be sharing the stories behind all our favourite Star Wars accessories PLUS pictures from that time we drove 6 hours into the Sahara desert to abandoned Star Wars sets in Tunisia. Be sure to check my Instagram account throughout the day for updates. It should be good! 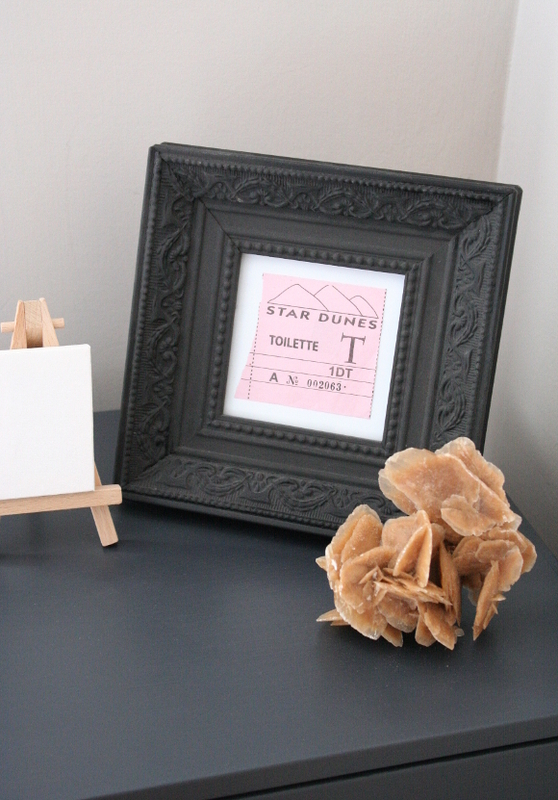 I use our Dymo embossed label writer on so many things. Not just for organisational things [for which I use it a. lot. ], but I love to use it for its retro-yummy-black-and-white-prettifying of things. I think embossed labels are not only timeless but super neat, a little bit sciency and official looking [such technical terms], fun and informative, won’t go out of style any time soon and immediately take otherwise blaze things to the next level. 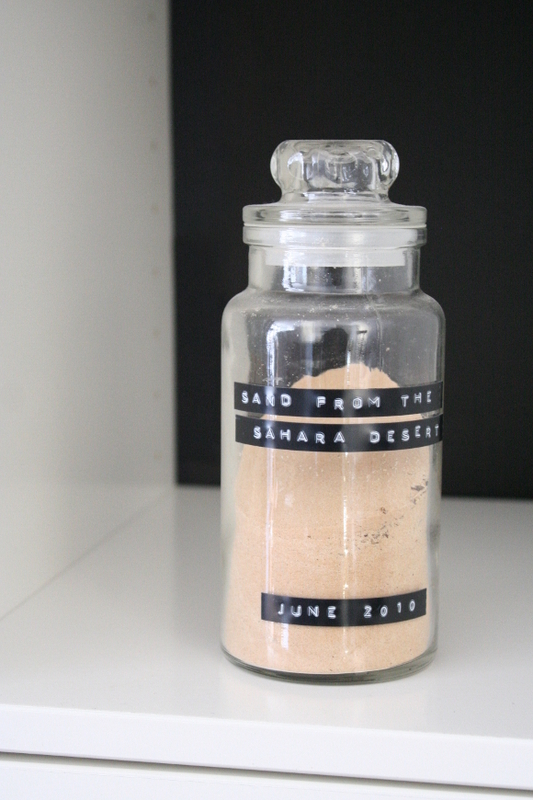 One of the first things I added an embossed label to was the jar of sand in our living room that we scooped from the Sahara Desert 5 years ago when we visited an abandoned Star Wars set. Which, by the way, the desert in June is kinda hot. FYI. It was an epic Tunisian adventure nonetheless; exciting, terrifying, haunting, surreal landscape and for the most part if you wanted to stay sane you had to ignore the constant undercurrent of sexism and double standards. But that’s a story for another day. 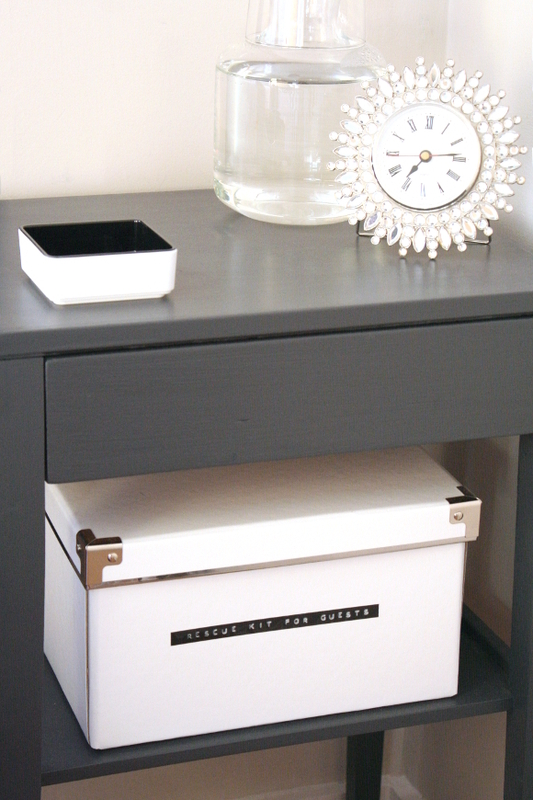 After I initially blogged my emergency rescue kit for our spare bedroom, it wasn’t until a couple of months later that it dawned on me to upgrade the box and slap a lush embossed label on it. It instantly looks well lusher. 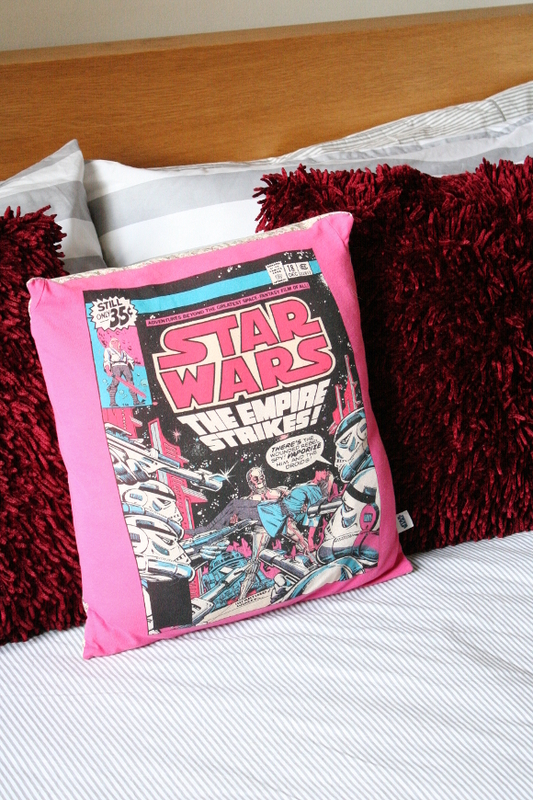 Also – the spare bedroom is getting another update which I’m hoping to share soon, so keep your eyes peeled! Another set of boxes I prettified with labels were our holiday memory boxes. 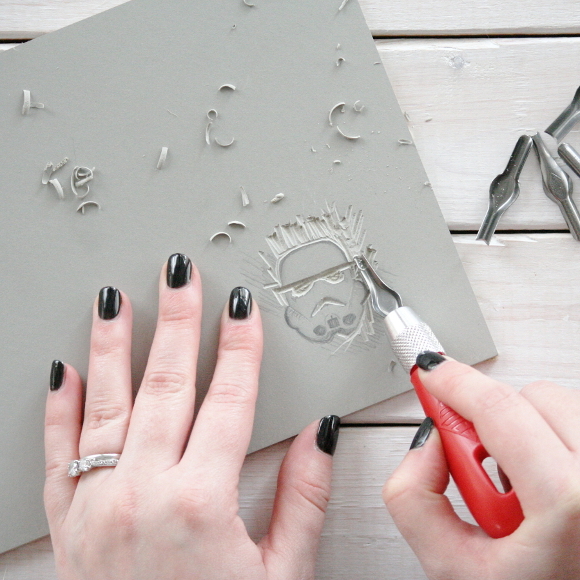 In fact, I made some bespoke embossed labels for that project that I’m hoping to use again. The holiday boxes have since moved from our bedroom into the hall cupboard. 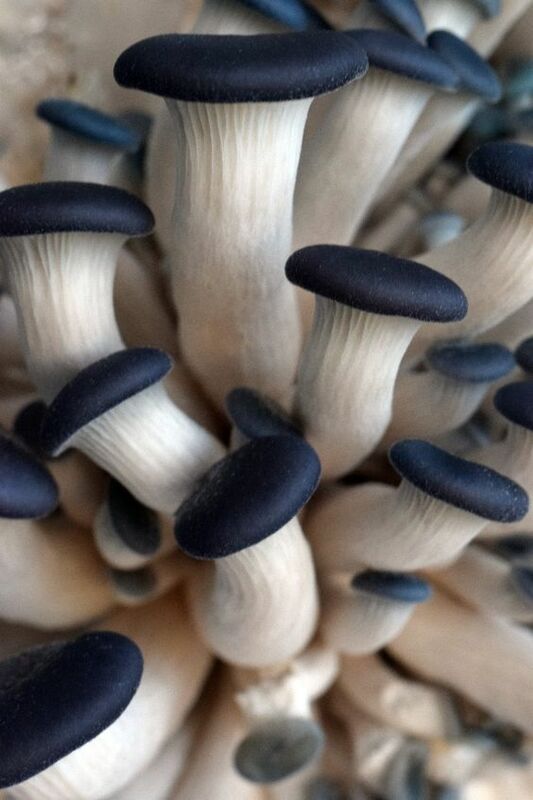 I tried to photograph them in their new home but the photos turned out terrible. Some hall cupboards just weren’t made to be photographed. 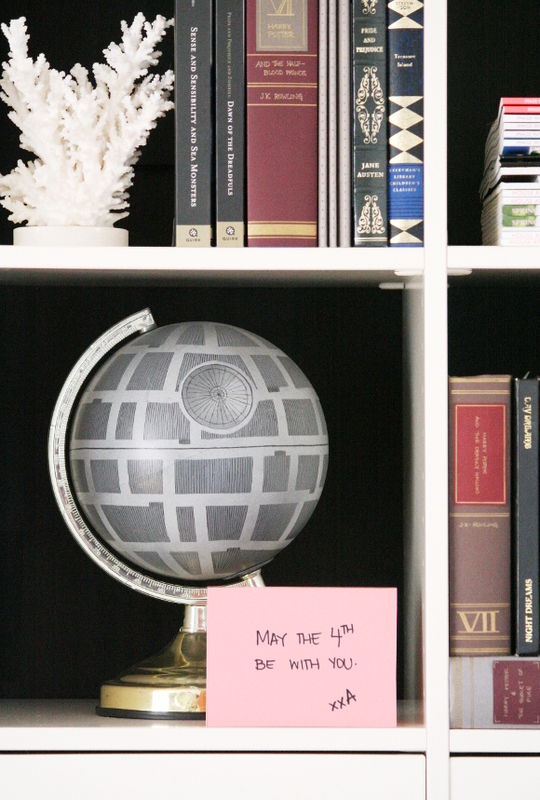 Way back when I DIYed the Death Star globe for husband’s birthday, I punched out “I love you to the Death Star and back” and stuck it to the envelope for his birthday card. Little did he know it hinted towards the present I had made him that still takes pride of place on our living room shelves. 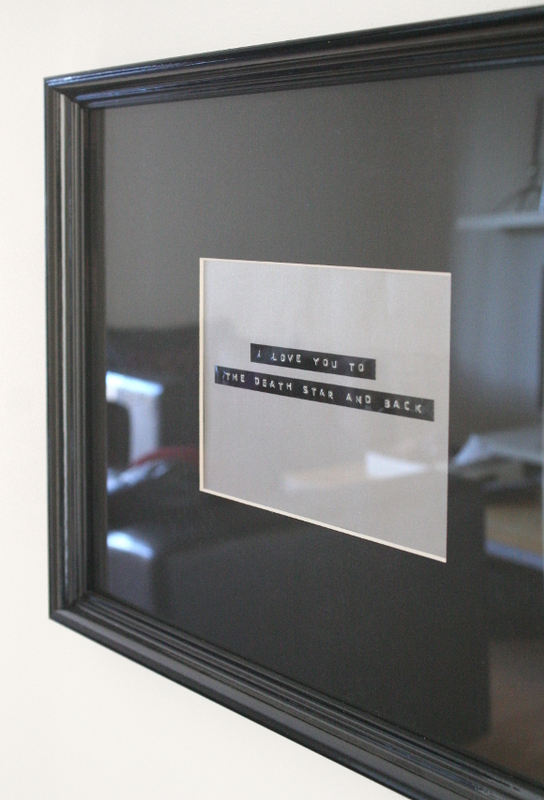 I framed the envelope and it now hangs in our newly updated hallway. I’ve used these labels in more areas throughout our apartment, but the above are the most interesting [aka, least boring] uses. I have loads more projects I’d like to tackle with my Dymo label writer but alas, it’s broken. It’s fixable, it’s just I need to actually sit down and figure out how to fix it. Welp. So, are you a label-holic like myself? Do you have a penchant for punching out sayings? If so, you are among friends!